No other city in the world presents distractions as pleasing and fun as Dubai. The city has virtually everything a person could count on as being fun. The best shopping malls in the world for shopaholics, water sports, scenic beauty, restaurant and cuisines, you name it, the city has it all. You just have to know the right places and the details to make the maximum of your stay here. Take a lot pf pictures to freeze the moment forever so that you can always rejoice by looking at them.. Our step by step guides takes you on a fun trip across Dubai. Enjoy! Dubai has the best malls in the world. It is every shopaholics dream come true. Dubai is home to the most luxurious malls you will come across. The best of them are The Dubai mall and the mall of Emirates. The Dubai mall is situated near Burj Khalifa which is the largest building in the world. 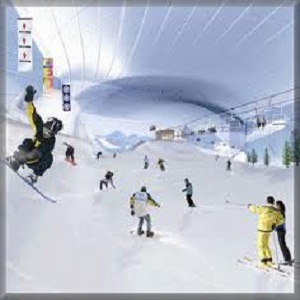 The mall of Emirates is famous for its ski resort where you can ski while shopping. 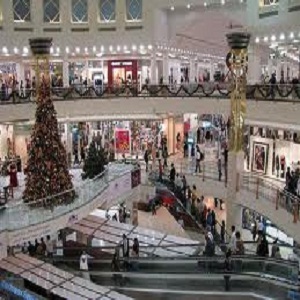 Other famous malls include Barjuman centre and Ibn e Batuta mall. The Dubai shopping festival is held every year to the delightof shoppers from all over the world. Dubai strives hard to wipe off the desert term from its face. You have a lot of options available if you are a water sports fan. There are two places in Dubai which let you hug, kiss, play and even ride on your favorite mammals, the dolphins. The Dolphenarium and the Atlantis hotel offer sessions for guests with the dolphins. They even give you complementary pictures to take home. At the Atlantis you can also scuba dive if you are qualified for it. Another water sport that you are going to enjoy is surfing. Learn surfing and make the most of your stay here. Ski at the Mall of Emirates. If you miss doing that, you have missed a huge chunk of Dubai life. Learn horse riding at polo in any horse riding academy like Dubai polo club and practice with other group members. The sport is like no other you have experienced. Camel riding is another thing you should not miss. Explore the city which holds many remarkable buildings and sights. Do not necessarily buy anything. Visit the Burj Khalifa. Do not limit yourself to the malls. Go to the souks which are usually open marketplaces offering different items like clothes and spices. Take a stroll around the banks of the creek where you can enjoy local food at the restaurants and watch the skyline of Dubai. Mosques in Dubai are elaborately built and are works of architecture. Go to the Jumeirah mosque. 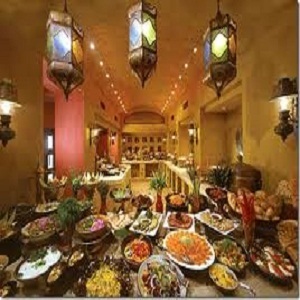 The Arabs love food and their food has a distinct flavor to it of the spices that they use. Dine at the restaurants near the beach, inside the malls. Do not forget to eat shawarma in its true form. Stuffed camel is another rarity you should pursue. Dubai being a metropolitan city also has cuisines from all over the world including Asian, Iranian and western. Dubai boasts of its amazing parks. There are parks with beaches and others with sprawling grass lawns with play areas and entertainment. Best places to plan picnics. Try out the spacious Mamzar park and the botanical garden in Creekside park. 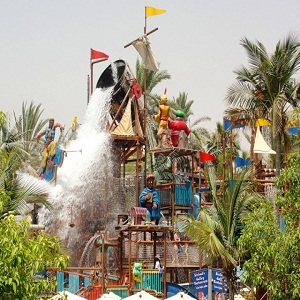 Water parks like wild wadi water parks are surely things to be tried.